What type of horse will best fit your needs? Where should I purchase a horse? How are the daily needs of the horse going to be met? What supplies/equipment will I need to get started? What are the expected costs of owning a horse? Whether you choose to travel to horse shows or just trail ride for pleasure, consider the type of riding that you intend to do. There are several styles of riding, including English or Western disciplines. Once this factor has been determined, it is important to select a horse that has already been “schooled” or trained for that type of riding. Also, select a horse that has had the right level of training depending on your riding experience. Once you understand your own riding experience and limitations, you will be in a better position to choose a horse with a temperament that will best suit you. For example, an older horse that already has the skills you desire is typically a better purchase for a first-time horse owner or younger rider. Keep into consideration that a horse’s value is usually a combination of its pedigree, build or “conformation,” and its ability to complete desired tasks. Pedigree indicates selective breeding for desired traits. Strong genetic lines for a desired trait or performance increase horse value, so expect to pay more for the horse if the trait is important to you or the seller. Likewise, certain physical traits are important for show and use. As a result, you can expect to pay more for horses with conformation desirable for an intended purpose. A horse’s ability to perform desired tasks (training and behavior) usually affects its value more than its pedigree or conformation. Expect to pay more for a horse already trained to complete a task than one that will require time and expense to reach that point. There are many different options for finding a horse to purchase. Two ways to purchase a horse are through a private contract and at public auction. Each has its advantages and disadvantages. Whichever way you choose to purchase your horse, a first-time buyer should be accompanied by someone with experience and knowledge of horse buying. Together, you can evaluate the horse in various actions such as standing in the pasture, loading, grooming and riding to make sure it is a good fit. There will be at least three parties involved in the sale of a horse. The primary parties involved include the buyer, the seller and the horse. However, in some cases there will be secondary parties involved which can include, but are not limited to, an agent for the buyer, an agent for the seller, a trainer, insurance agencies, or other advisors. 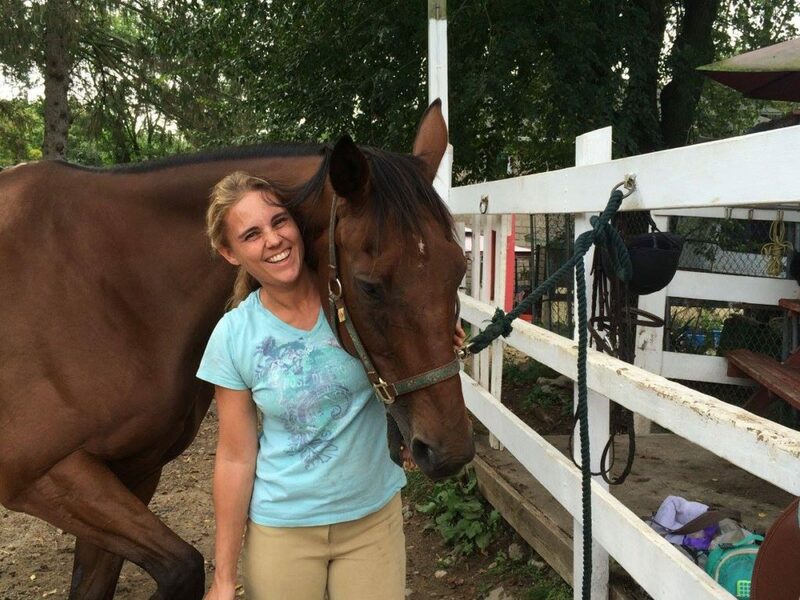 There are many resources available for finding a horse most suitable for your intentions. A primary resource is through the stable where you plan to board or ride. Many times, riding instructors can act as agents in locating a horse most suited for your riding style and ability. Breeders are another resource since they want to see their animals placed in good environments. Almost every breed of horse has a registration association that can direct you to a breeder in your area. You can also check newspapers or the bulletin board at your local tack store, which can be a handy resource for locating horses for sale. However, here you have little knowledge of the seller and little recourse should the purchase prove unsatisfactory. Be sure to contact sellers and arrange on-site meetings. Owning a horse can be a big investment in time, money and emotion. Unfortunately, horses seldom come with a money-back guarantee. This is why it is important to investigate the horse’s overall health and condition through a purchase examination conducted by an equine veterinarian. Choose a veterinarian who does not have a prior relationship with the owner or the horse in question. Explain to your veterinarian your expectations and primary uses for the horse, including short and long-term goals (i.e., showing, then breeding). Ask your veterinarian to outline the procedures that he/she feels should be included in the exam and why. The veterinarian’s job is neither to pass nor fail an animal, but rather, to provide you with information regarding any existing medical problems and to discuss those problems with you so that you can make an informed purchase decision. Many individuals that are looking to purchase a horse hear the words “guaranteed sound,” “I’ll buy him back if you don’t like him,” or “money back guaranteed.” If comments like these are made, you should ask the seller if they are amenable to a 30-day grace period until the sale becomes final. This will often eliminate the question regarding whether the horse has been given a sedative or pain relieving agent during the pre-purchase examination to help the sale go through. For more information about purchase examinations, ask your equine veterinarian for “Purchase Exams: A Sound Economic Investment,” a brochure provided by the AAEP. Additional information can be found on the AAEP Web site, www.aaep.org. How Will My Horse’s Needs Be Met? When owning a horse, many different management styles exist when it comes to care and housing. As a prospective horse owner, one of the first decisions that must be made is where to house the horse. Many individuals have the ability to provide housing for their horse on their property. On-site housing has many advantages related to convenience of daily horse care and use. On the other hand, the responsibility of feeding and daily maintenance of the horse is much higher when the horse is kept on your property. This must be taken into consideration, versus boarding the horse at a local stable or boarding facility where it can be fed and watched on a daily basis by barn personnel. Be sure to check with local zoning officials before planning to keep your horse at home. Prior to purchase, potential horse buyers should be aware of the additional costs that come with ownership. The cost of owning a horse can certainly add up quickly. Depending on whether you house the horse on your own property, boarding costs may also be factored into the expense of horse ownership. If you plan to travel with the horse to various horse shows, or trail rides, these fees should be considered along with any breeding costs if you plan to use the horse as a breeding animal at some point during your ownership. Before purchasing a horse for a child, parents should assess their child’s commitment. It would be wise to arrange with a local stable for riding lessons or the opportunity to participate in supervised care of a horse for a period of time to determine whether the child will be diligent with the routine care for the animal. Leasing a horse and participating in 4-H, Future Farmers of America (FFA) or the United States Pony Clubs, Inc. (USPC) are additional ways to accomplish this. Most individuals own horses for hobby interests related to family and youth development or the enhancement of the quality of their life or entertainment. Advancements in the equine health field have helped to increase the life of the horse to well into their 30s, but often well beyond their athletic usefulness. Prepare to be a responsible horse owner and plan ahead for your horse’s retirement years and beyond. As a horse owner, you should also plan to set aside an emergency fund for the unexpected but all too common injuries or illnesses that may occur in horse ownership. One final point for all horse owners to remember: the horse is a living being whose life and welfare are in your hands.